Do you have your degree in a business related field and you have decided to further your education by obtaining your master’s degree in accounting? Have you considered focusing your master’s degree course work in the area of accounting? If you said yes to both of these questions, then you will definitely want to continue reading to learn everything you can about this exciting career path. Before you can be admitted to an accounting MBA program, you will need to take the GMAT exam. An MBA (Masters of Business Administration) degree in accounting will provide you with a comprehensive knowledge of a range of business theories. With an emphasis on accounting, your degree program will incorporate business classes with accounting theories and knowledge. Depending upon which college or university you decide to attend, you will likely be required to complete course work that is divided into core classes and concentration courses. Your core course work will contain advanced classes like strategic management, marketing management, quantitative methods, and financial accounting. The concentration courses that you will be required to complete are managerial accounting, accounting information systems, and organizational tax research and planning. Keep in mind, the four year college that you choose to attend may have slightly different course requirements. Regardless of where you choose to pursue your master’s degree level, it will be important that you have strength in working with numbers and that your problem solving skills are impeccable. Furthermore, you must have effective communication skills to be able to converse with clients, colleagues, and upper level management. 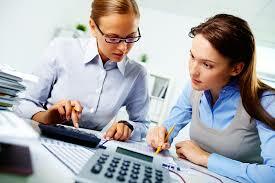 Generally speaking, it will take you two to three years to complete the requirements of the MBA in accounting. Many schools require students to complete an internship or an intensive project just prior to graduation. This aspect of your coursework will look great to potential employers and will provide you the opportunity to apply the skills that you have been learning in the classroom. As soon as you complete the course work for your degree program, you will be required to earn a passing score on the Certified Public Accountant examination. It is important to understand that without this examination, you will not be licensed to practice accounting in your state. Upon completion of your master’s degree program in business administration with an emphasis in accounting you will be ready to seek employment with tax firms, non-profit companies, governmental departments, or private accounting companies. Of course, it is also feasible for you to open your own accounting business once you have obtained your master’s degree. With your master’s degree you will be capable of becoming an internal auditor, a certified public accountant, a tax consultant, or a managerial accountant. It is important to note that you cannot pursue a career as a certified professional accountant without first obtaining your master’s degree in accounting. Many students choose to select an area of accounting to focus their career on; this may be something to consider as you plan for your new occupation. Thanks to recent technological strides, many students choose to pursue their MBA in accounting through an online learning format. If you are working on your master’s degree while maintaining your employment or raising your family, this may be a great choice for you! Keep in mind, you will want to be sure that the learning institution you choose is an accredited school. This will ensure that the course work you are required to complete is pertinent to your future career path and that your diploma will be valid. It is important to note that this learning format will require you to be very self-disciplined. Accounting is the backbone of any organization. With the economy continuing to grow, there are more and more financial transactions to analyze, track and record. This is increasingly being done through the use of computers. Manual tasks are being replaced by computerized tasks. This is paving the way for Computerized Financial Accounting. Specialized accounting software greatly reduces the amount of tedious manual work previously associated with data management and recordkeeping. As a result, there are additional opportunities for individuals to perform a wider range of duties within an organization, such as payroll and billing functions. The profession requires that individuals have a fundamental understanding of accounting principles and practices, as well as a working knowledge of performing accounting tasks through the use of a computer.